Sea glass is an all time favorite. It always has a story, nostalgia, and a purpose. Past or present it was a functional. Used as a fisherman’s buoy, a bottle , a dish,etc..Fortunately we love the broken, thrown away, tumbled trash. After tumbling through salty sand, rock and silt over the years, what is left to be discovered are the most beautiful re-usable gems. I have been collecting found objects all of my life and it is one of the most rewarding habits. Most of my collection has come from the North Shore of Oahu and the Big Island of Hawaii. I have a special collection that was given to me from my son Noah that he collected in Northern California on one of his trips. Today I feel blessed to be able to use these Hawaiian gems in my jewelry and decor and create memorable jewelry pieces for the ocean lover . Feel free to contact me via www.beachgirljewels.com I would love to help you create that memorable piece ! I appreciate all of the hard work of the many organizations that help to keep our oceans and beaches that I love clean. To help out a little and to kick off this summer I want to donate a portion of my sales from sea glass and shell jewelry that is purchased this summer from now until the end of July . Here are are a few of the organizations that are so amazing. If you can join a beach cleanup that is great or even take a trash bag with you when you go to the beach and pick up a little extra around you. 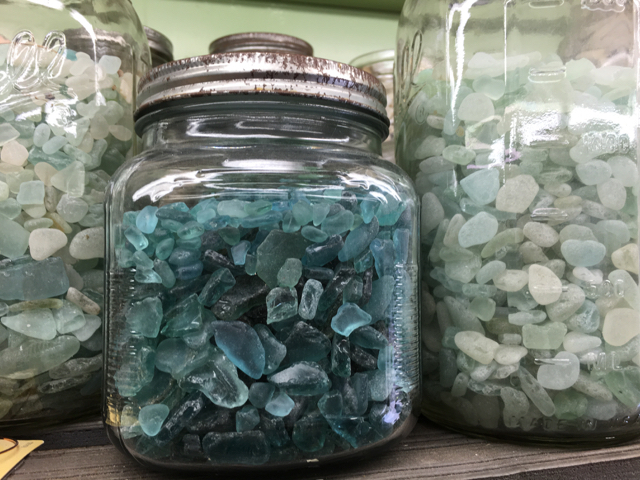 This entry was posted by Andrea Quitoriano Fix in Home and tagged glass, hawaii sea glass, hawaiian, sea.